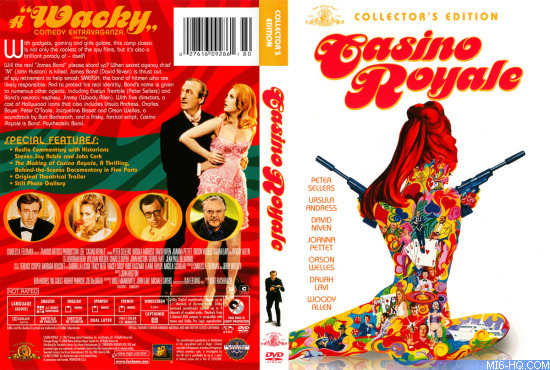 Poster illustrator extraordinaire Robert McGinnis was drafted back into Bond duty in 2002 for the re-release of the 1967 spoof 'Casino Royale' on DVD. 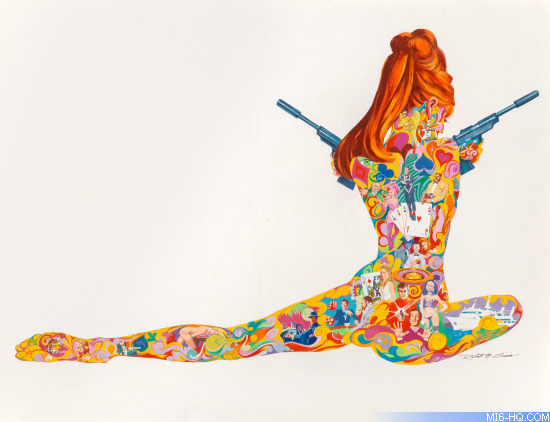 McGinnis originally created the stunning artwork for the film's theatrical release poster, and sometime after MGM re-acquired the rights to the film and planned a Collector's Edition DVD launch in 2002, they commissioned McGinnis to recreate the iconic poster for the sleeve (they had previously used the woman in silhouette). The new design was also used for the 40th-anniversary release. It is not known why the new artwork was commissioned, but perhaps having 'James Bond 007' so central to the original art, when MGM probably wanted some distance from the official series, may have been a factor. The words James Bond and 007 are nowhere to be seen on the updated DVD and Blu-Ray covers. 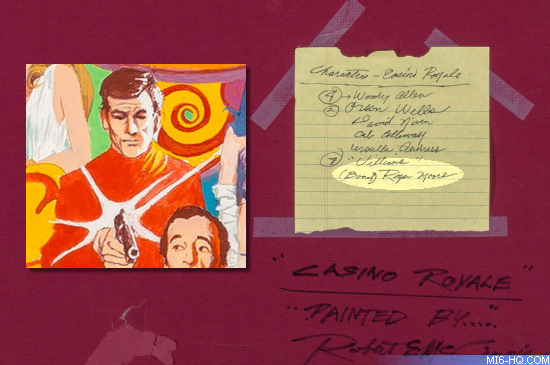 On the reverse of the artwork, McGinnis has made some notes about the characters featured in the artwork. 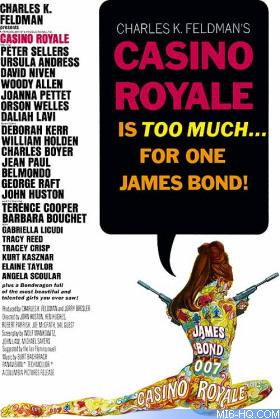 Perhaps this slipped by MGM, but he lists his James Bond incarnation as 'Roger Moore.' Seen below, the Bond character that appears on the girl's lower back does indeed look like he's based on a 'Live And Let Die' publicity shot of Moore. Did anyone spot the Roger Moore-like James Bond? The updated artwork by McGinnis will be going under the hammer at Heritage Auctions on Friday 13th October 2017. Offered at no reserve, the lot is expected to fetch $15,000 - $25,000.